Home / STORE / Nisse / Mini Nisse. These cute little Nisse although only small, are not our youngest Nisse. 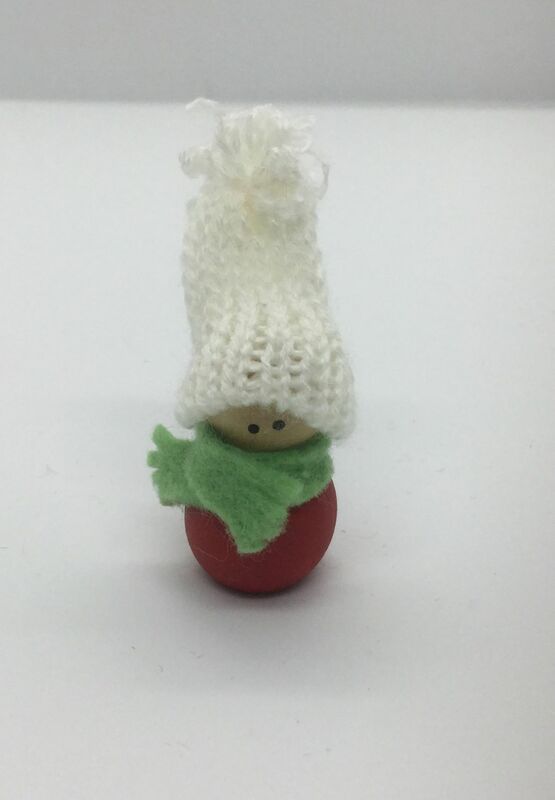 They have wooden bodies painted red with a warm green felt scarf and a warm white knitted wool hat. They stand approximately 5cm high.